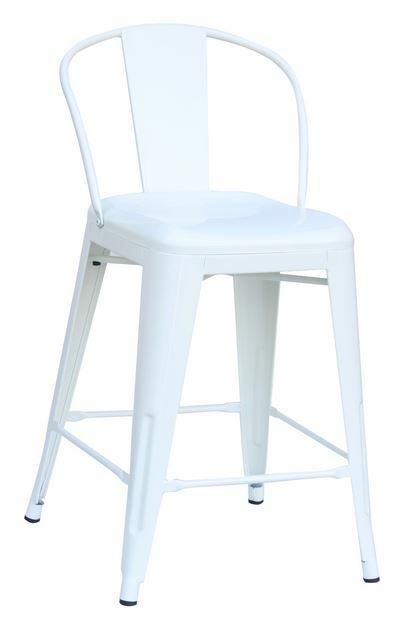 Our white round backed 24″ counter stool is perfect for outdoor/indoor use and has a great industrial flair. Comfortable round backed seating with an industrial flair. Comes with solid steel seat, Powder-coated metal frame, mar-resistant finish. They’re perfect for outdoor or indoor use. The legs have protective feet to prevent damage to flooring.